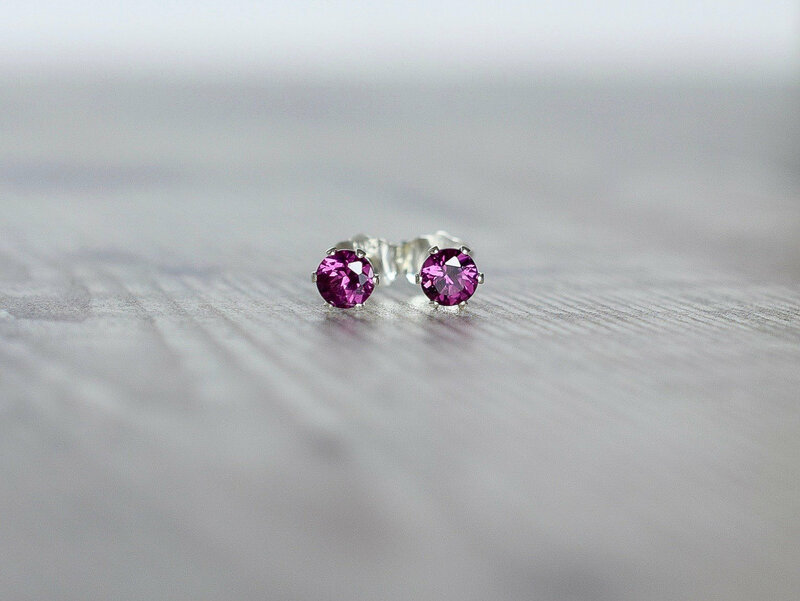 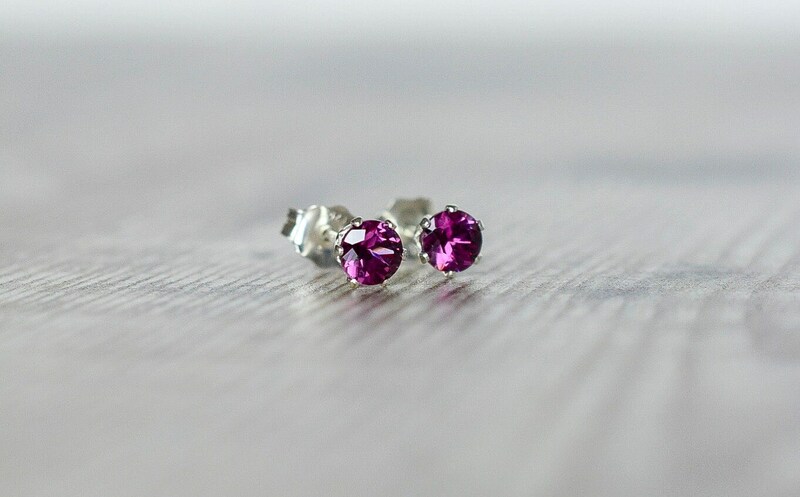 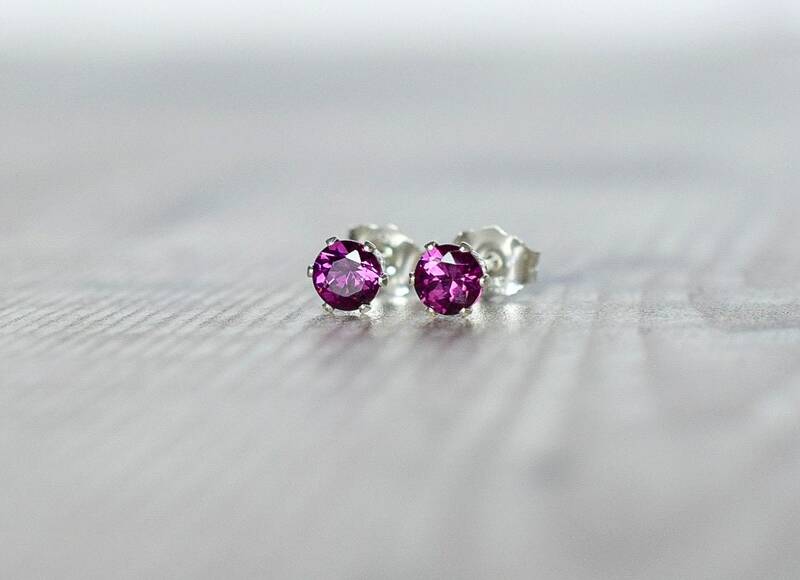 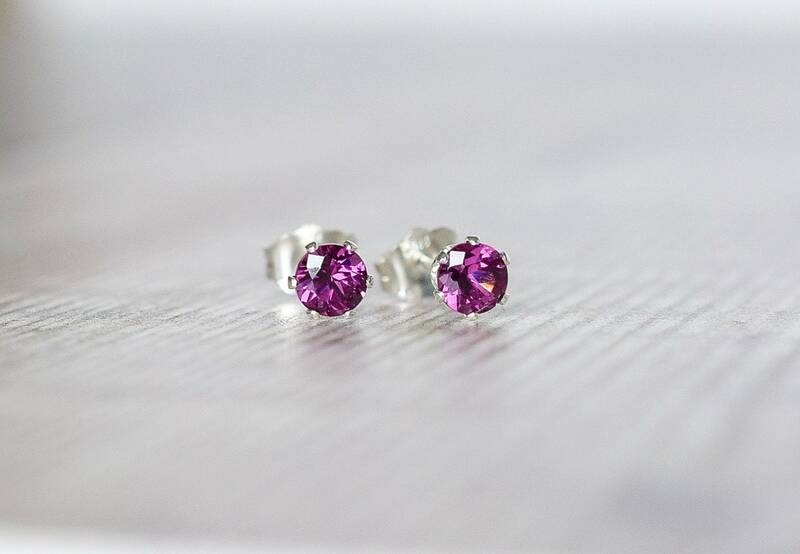 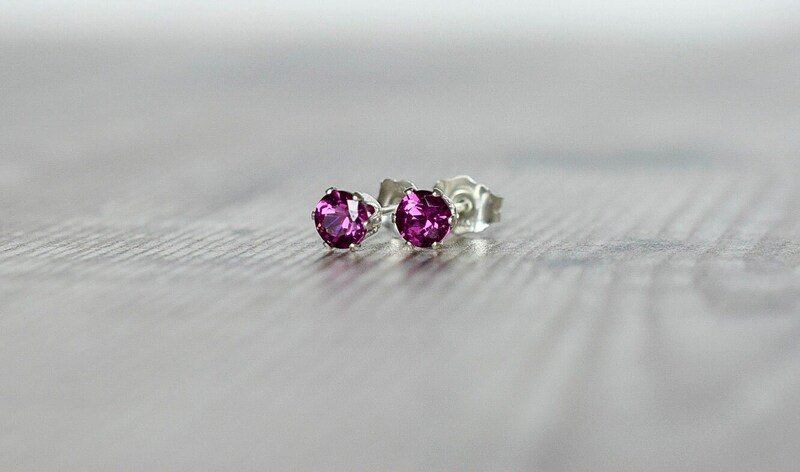 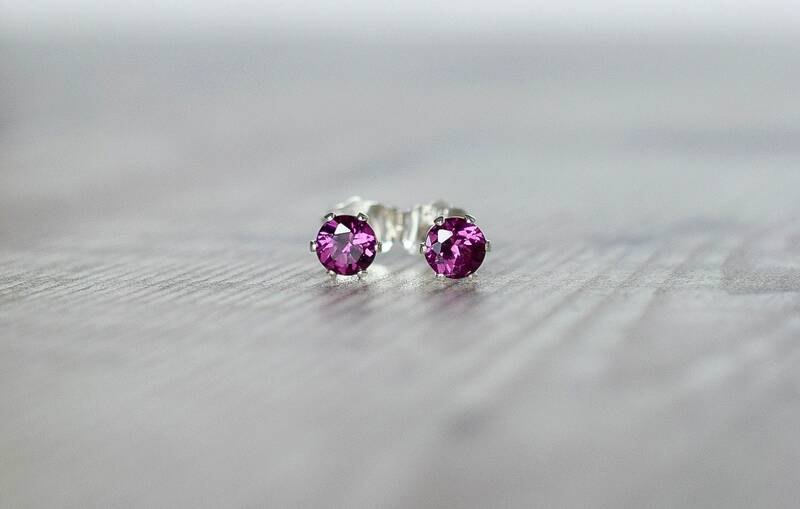 These beautiful gemstone earrings are designed with sparkly Rhodolite Garnets in the most gorgeous shade of deep pink, with flashes of red and purple. 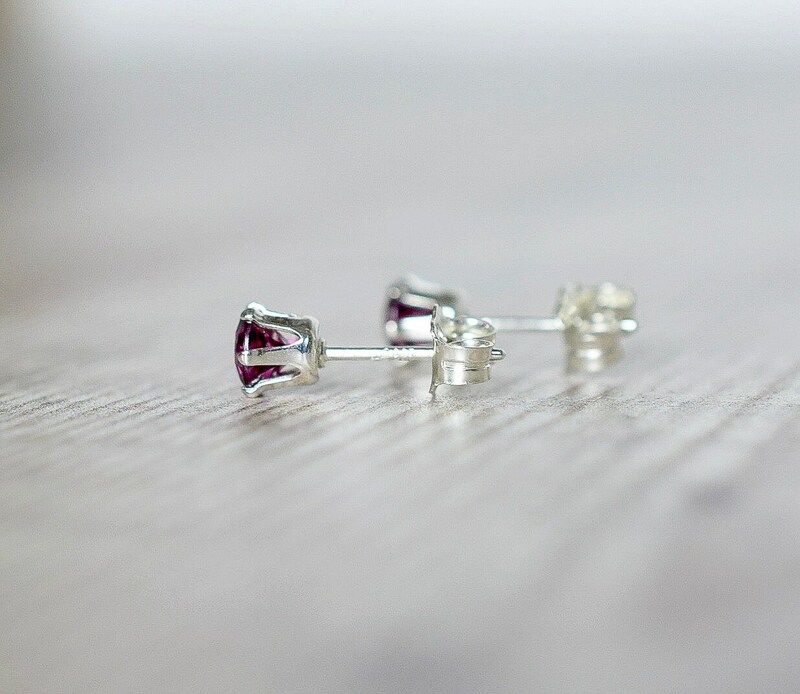 The earrings are set in 925 sterling silver six-claw settings and have butterfly scrolls for backs that are are also sterling silver. 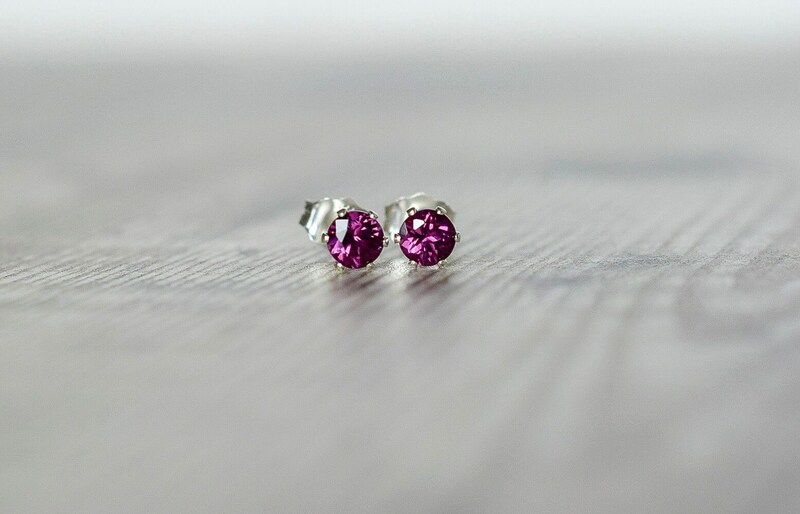 Perfect for everyday wear while adding an extra touch of sparkle. 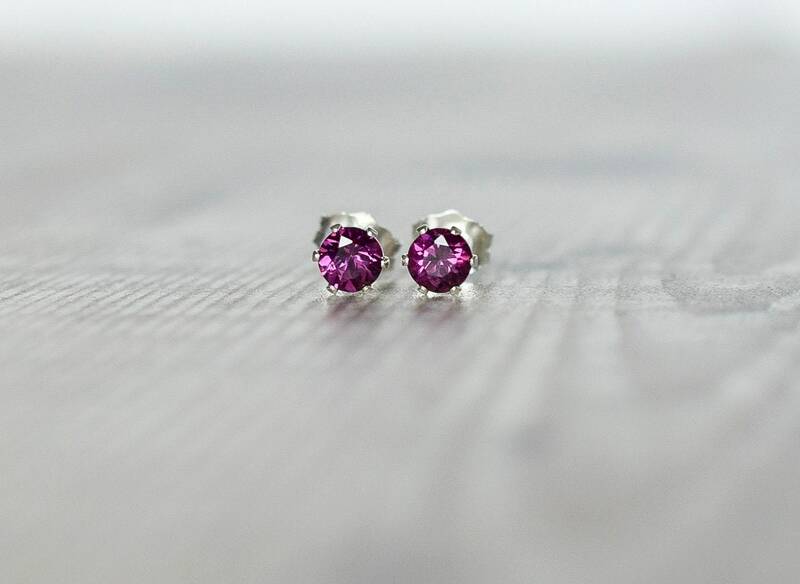 * The Rhodolite Garnets measure 4mm.